Go riding through the Aussie rainforest! Suitable for anyone over the age of 4, even if you've never ridden before! 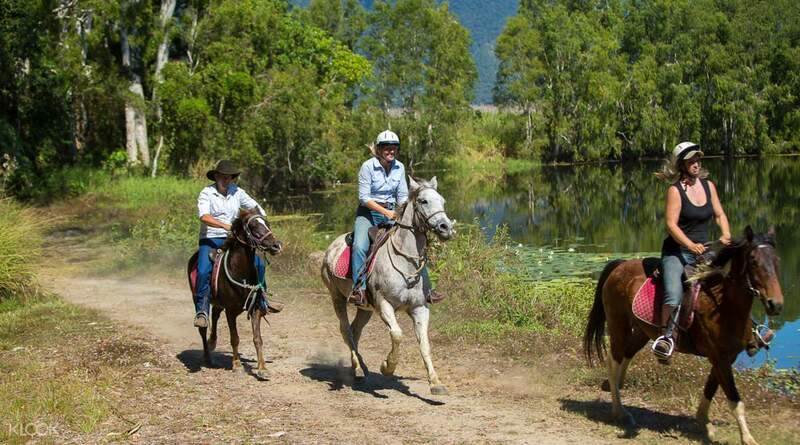 Discover Cairns on a fun horse riding adventure that takes you to Australia’s signature lush rainforests. Travel through mesmerizing greens under the clear blue sky and get to know the calm majestic animals up close. 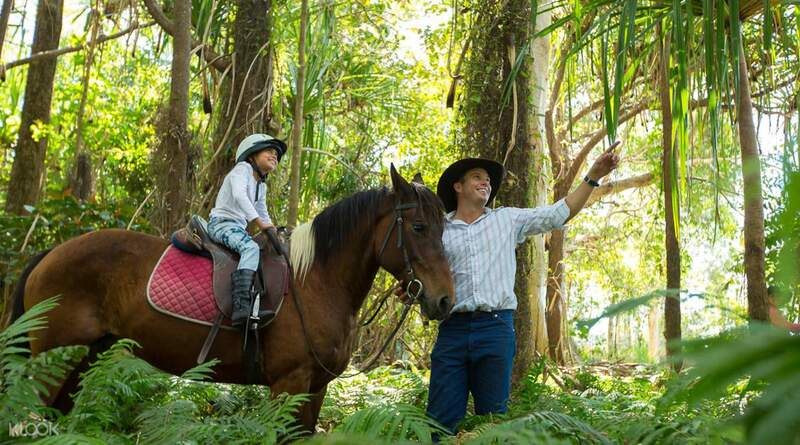 Your day conveniently begins with a hotel pick up and in no time you'll be ready to start your horse riding adventure. Never ridden a horse before? No problem! With a professional instructor, you will get the hang of it in quickly and safely. Warm up with a steaming cup of tea or coffee before the ride, hop on and feel the wind in your hair. All the required equipment is provided and you will be able to choose from three time slots to match your busy schedule. It's the ultimate Aussie rainforest experience for adventurers of all ages! This was a excellent first time experience. I had never done horse riding before. The staff are very friendly and very helpful. The horses are all well trained and cared for. Highly recommend this if you are up in Cairns. This was a excellent first time experience. I had never done horse riding before. The staff are very friendly and very helpful. The horses are all well trained and cared for. Highly recommend this if you are up in Cairns. 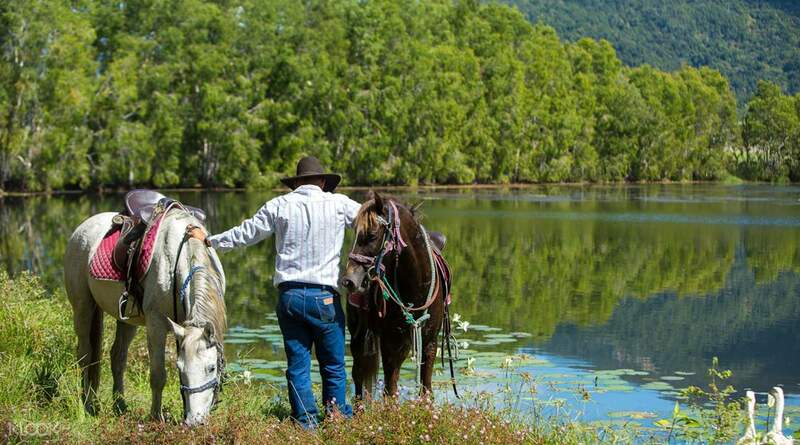 Beautiful scenery, beautiful horses and nice people. Everyone was so friendly and willing to lend a hand and have a chat. An absolutely awesome experience! Beautiful scenery, beautiful horses and nice people. Everyone was so friendly and willing to lend a hand and have a chat. An absolutely awesome experience! Horse riding for the first time, it was something special! Horse riding for the first time, it was something special! The driver did not arrive and was uncontactable. We tried calling different agencies and numbers but to no avail. The driver did not arrive and was uncontactable. We tried calling different agencies and numbers but to no avail. It was a good time to be able to enjoy the elegant horses and the many guides and relaxation in the beautiful nature. I also have lots of good memories for taking pictures for free! 아름다운 자연속에 우아한 말들과 정 많은 가이드분들과 여유를 만끽 할 수 있었던 좋은 시간이었습니다. 사진도 공짜로 잔뜩 찍어주셔서 좋은 추억 많이 쌓고 옵니다!